This is now day two of our trip, and things are well, although anticipation for the days to come is building and building. Because our group is a melting pot of students coming from different parts of the USA, Puerto Rico and Canada, ther is a lot to get to know about each other, a task that we are happily completing over meals, sightseeing walks, and after-dinner games. 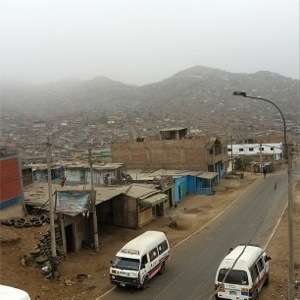 Yesterday, we got a small tour of Mariflores, the district of Lima where our hotel is. As we walked around, taking picture after picture of houses, streets and anything else that may seem noteworthy to a dutiful toutist, I couldn’t help but be enchanted by the friendly nature of the place. We came across a large avenue that, our MEDLIFE guide Giorgio explained, was closed every Sunday morning just to allow bikers and runners and rollerbladers to enjoy themselves. Mariflores’ beautiful view of the Pacific Ocean, as well as the food that one can enjoy while gazing into the horizon, makes it an easy place to like. Yesterday, I tasted a dish called “Causa Fashion”, which consisted of fried shrimp set daintily on top of dollops of lemon-flavoured mashed potatoes. My description may not do this dish justice, but hopefully the picture will. Today, we are headed for a tour of Pamplona. “Be prepared to hike!” said Sunita, one of the MEDLIFE interns. After our hike, we will also find out what groups we are in for the clinics and development project. Can’t wait!